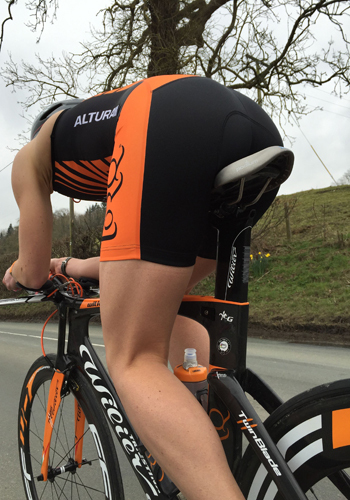 With a 10th fastest of all time, in the 100 mile TT – our Eleanor Haresign really showed what a well trained and dedicated triathlete could do. She took on the single discipline specialists on a ‘train-through race’ and really showed them what she could do through producing a sub 4 hour 100. I had been looking for a way to get in some race practice between the Staffordshire 70.3 and Ironman UK. As I ideally wanted to find an event that did not involve too many logistcal nightmares or a disruption to my training, the Stockton Wheelers 100TT came up trumps: As it was two weeks out from Bolton, and only an hour up the road. It was a straight forward course, with two out and back laps on the A19/A168 from Kirklevington to Dishforth. The most painful part was the 03:45h alarm. 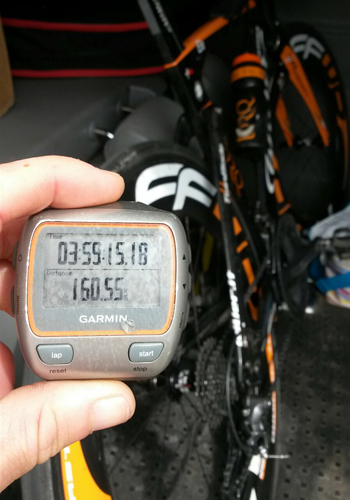 I had raced a 50TT the week before, so had a target average power range to go for and decided to base it on that. That said, it had been my last week of training for IMUK and my legs were far from fresh. During the first hour, I was well below target. However, rather than becoming despondent, I decided to focus on the process goals I had set out to achieve in doing this session. They were: get the fuelling right, pedal smoothly and ride comfortably on the bars for a whole hour at a time (something I’m not usually settled with, as I prefer more technical or hilly courses). As the ride went on, of course the dual carriageway got busier. The day’s weather (to follow the set terminology) was classed as a ‘float,’ i.e. there was a little breeze and some low air pressure to help you ‘float’ along. I didn’t feel so much like floating though. After upping the average watts (within the third hour to mid target range), at the final turn at Dishforth, I realized 4 hours might be within reach and I patiently started upping the power again. At 3h42 (after a roadworks section), I decided it was now or never and by the time I crossed the line, my average power reached the upper limit of my target. Not only had I hit my target, I had negatively split the ride (going over 10 watts better in the second 50 miles). I had also nailed my nutrition, felt reasonably comfy and had been in control. Mission accomplished! At the finish, I immediately started blubbering like a bairn. At this point in time, I had no clue about any list of record times, but I knew from talking to fellow Time Trialers that anything around 4hrs was a decent time. However, I was emotional because, regardless of the conditions that day, going sub 4 and hitting my target power meant I knew my riding was better than some of my recent races had suggested. It gave me a much needed boost to my confidence and a reason to believe in my riding. Let’s just hope that I can put it together at Ironman UK now!